Since 2002, Optimum Green Cleaning has been the choice for quality restaurant and office cleaning in South San Francisco and the surrounding areas. We pride ourselves on our strong record of customer satisfaction, providing premium restaurant, office, and commercial kitchen cleaning services customized to fit your needs. 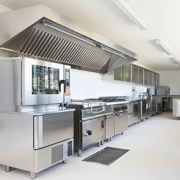 Whether you need daily, weekly, or monthly cleaning for your restaurant, commercial kitchen, or office, we are there for you! Why Choose Optimum Green Cleaning? Call our friendly staff today at (415) 906-2292 to get a free quote and schedule your restaurant or office cleaning service! Cleaning appointments available on weekends and evenings.